The standout fixture of the Premier League this weekend takes place at the Emirates Stadium on Saturday, when Arsenal will play host to Liverpool. The Gunners have not lost in any competition since back-to-back defeats by Manchester City and Chelsea in August, but their 11-game winning streak was brought to an end by Crystal Palace last time out. Unai Emery’s side came from a goal down to take the lead at Selhurst Park on Sunday afternoon, only to be pegged back by a second Luka Milivojevic penalty with seven minutes left on the clock. The Gunners surprisingly sat back and allowed Palace to dominate possession after Pierre-Emerick Aubameyang had put them 2-1 up, and in the end Roy Hodgson’s side were good value for a point. That result leaves Arsenal four points adrift of the summit of the standings, but the club’s supporters will still be happy with where they find themselves after 10 matches. In truth, Arsenal’s recent return of 21 points from a possible 21 had flattered them somewhat. Defensive vulnerability was a feature of their triumphs over West Ham United, Cardiff City, Everton, Watford and Leicester City, and some of those games could easily have gone against them on another day. They have also been over-performing in an attacking sense, having scored 24 times despite racking up a cumulative Expected Goals figure of just 14.37. Alexandre Lacazette and Aubameyang have been finishing brilliantly up to now – and the latter is available at 13/8 with BetVictor to find the net this weekend – but on the basis of the underlying numbers, talk of a potential title tilt always seemed premature. 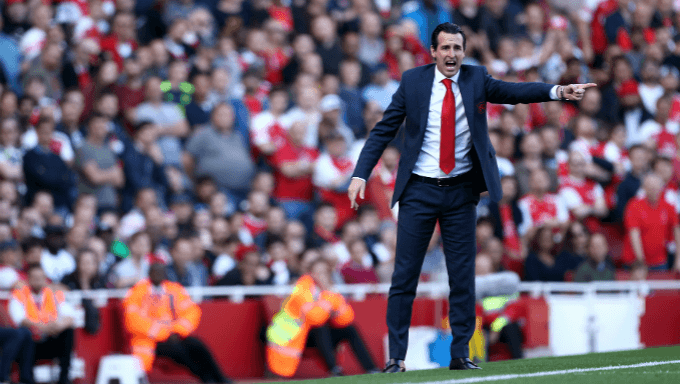 With a quarter of the campaign having now elapsed, it is still much more likely that Emery’s men will be battling it out for a Champions League qualification spot this term. Liverpool certainly look to be in a stronger position as far as challenging for the championship is concerned. Jurgen Klopp’s charges made it 10 Premier League games without defeat last time out, with a 4-1 success against Cardiff representing a return to form for the team’s attack; prior to last weekend, the Reds had scored just three goals in their last three top-flight encounters. The key difference this year is at the other end of the field, though; whereas Liverpool were undone by their defensive shakiness on several occasions in 2017/18 – particularly in the first portion of the season – they have conceded just four times so far in 2018/19. A clean sheet at the Emirates will be a tough ask, but some may be tempted by odds of 3/1 at 888sport. Another factor worth bearing in mind ahead of this weekend’s tussle is Liverpool’s record against fellow members of the big six under Klopp: since the former Borussia Dortmund head coach arrived on Merseyside in October 2015, his side have won 11 and lost just five of their league meetings with Manchester City, Manchester United, Chelsea, Tottenham Hotspur and Arsenal. Liverpool’s high-tempo, frenetic style of play is ideally suited to big games, where opponents are less likely to simply cede possession and pack men behind the ball. Arsenal’s willingness to play out from the back could also work in Liverpool’s favour on Saturday, with Klopp’s men arguably the best team in the world when it comes to counter-pressing and transitioning from defence to attack. It is very difficult to envisage a situation in which the visitors to the Emirates do not score this weekend, and over 1.5 goals for Liverpool looks appealing as a potential accumulator option at 39/50 at Redbet. Emery has done an excellent job at Arsenal so far, inheriting a dysfunctional squad from Arsene Wenger and gradually getting his ideas across, all while generating the sort of positive results which have given the north Londoners a real chance of finishing in the top four this season. They may have converted an unsustainably high percentage of the chances they have created thus far, but some of the Gunners’ attacking play has been scintillating in recent weeks and they possess several talented individuals capable of producing moments of magic in the final third. Nevertheless, Liverpool will probably prove too strong for Arsenal this weekend. The Reds look like a more rounded, better-balanced team at present – and that is understandable given that Klopp has been at the helm for three years – and their own attacking firepower should see them collect another three points. Back the visitors at 23/20 with Blacktype, with an away win in a game featuring more than 3.5 goals another solid option at 3/1 at Sportnation.bet.